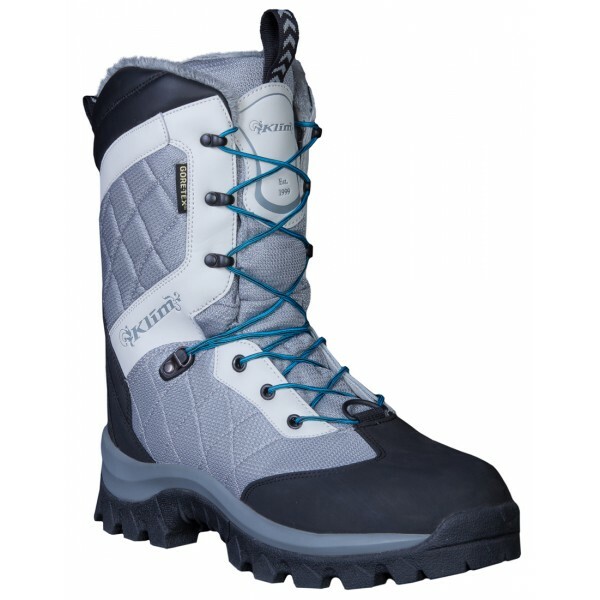 Klim Aurora GTX Boot is just what any woman needs that loves the winter activities, but hates having cold, wet feet. The Gore-Tex®, and 800 Grams of 3M™ Thinsulate™ Ultra Insulation ensure that your feet stay dry and warm. High-Tech locking eyelet lace system allows you to better control the tension of your laces for maximum comfort. The main exterior material is durable Nylon with DWR for lighter weight and it increases water shedding performance. High quality Non-wicking laces, and comes with 3 color options for your laces: Gray, Purple, and Pink. What more could you ask for!